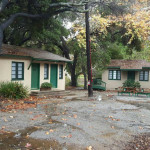 We are thrilled to be starting a new tradition of sleepaway camp at Temescal Gateway Park! 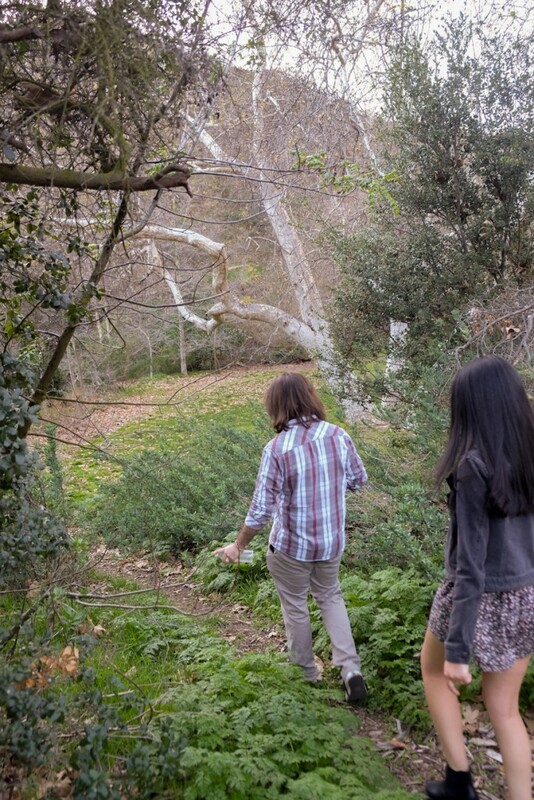 We will host an introductory week this June as we begin the first of many summers sharing music-filled memories at the Santa Monica Mountains. 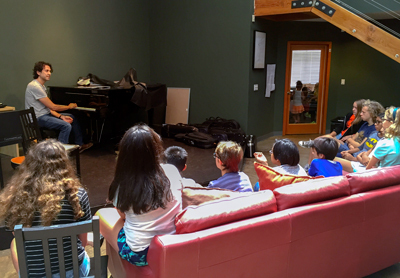 For the past 10 years, Santa Monica Music Camp has helped young musicians become more capable and confident players. We teach students in a fun and rigorous environment that focuses on technical abilities, music theory, confidence, group collaboration and ensemble playing. Campers spend five hours a day playing and learning about music, while still getting to enjoy their friends and our favorite traditional camp activities. Our summer sleepaway program consists of five hours each day of sectionals, small ensemble rehearsals, and large group instruction in either Orchestra, Concert Band, Jazz Band or Camp Choir. We also offer individualized guitar classes. 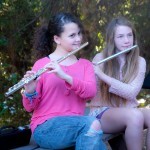 Santa Monica Music Camp combines a detailed and rigorous music education with classic summer camp fun. 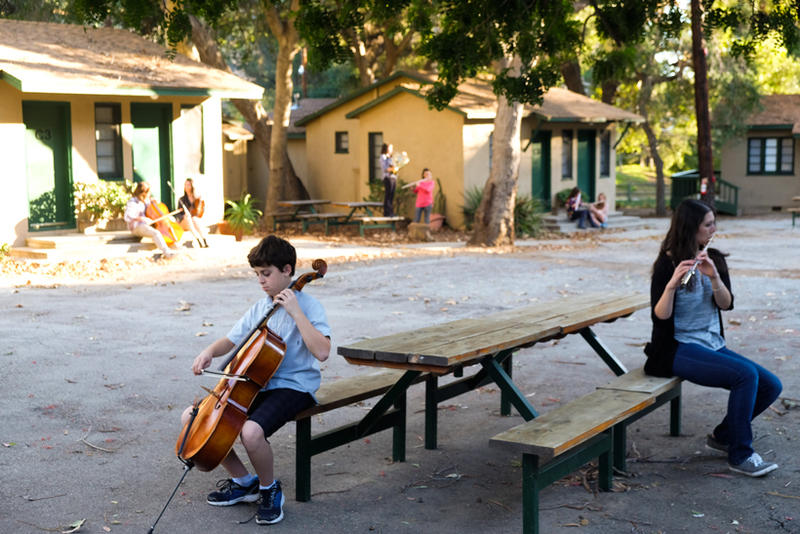 Campers spend the day practicing in small and large settings, learning about music in its many forms, and playing and enjoying the company of their friends and surrounding nature. 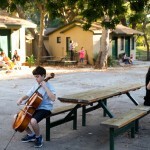 Campers can choose from a variety of music electives including sports, jazz band, chamber music, beach time, and more. Every night will feature a different evening activity such as movie night, camper or staff skit night, or a staff concert. At the end of each week, campers perform what they’ve learned in a casual concert for family and friends. Our beautiful campsite in the Santa Monica Mountains feels miles away from home, but is really just a 10-15 minute drive from Santa Monica. 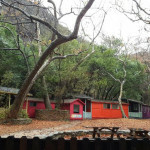 Campers sleep in newly updated cabins, each with a private bathroom. 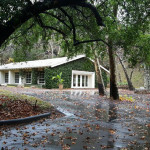 They rehearse in the large performance hall and beautiful classroom cabins. Many of the students who attend our camp have never had the opportunity to smell the scent of a blooming wildflower, to watch a deer jump gracefully through a meadow, to gaze up at a star-filled sky, or to roast a marshmallow over an open campfire. 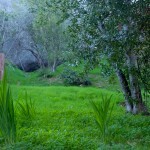 They will have numerous opportunities to enjoy the trees, moss, birds, and plant life that surrounds our camp site, and for our avid hikers, there are miles of trails with extraordinary ridge top views. Santa Monica Music Camp is proud to teach important life skills such as respect, hard work, cooperation, leadership, and positive thinking along with our music curriculum. The inspirational setting of our camp, dedicated and talented staff, and perfect blend of work and fun will keep young musicians coming back year after year. Musicians can enroll in one of our Four large ensembles: Orchestra, Concert Band, Jazz Band or Camp Choir. 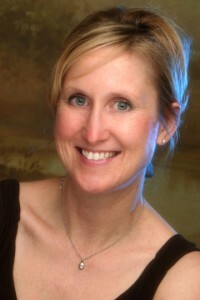 All of our ensembles are led by Maestro Elizabeth Stoyanovich. 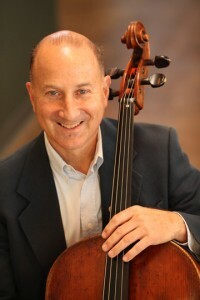 Campers have large ensemble rehearsals and instrument specific sectionals twice a day for 45-60 minutes in preparation for their end of session concert. We are always inspired by the change in proficiency and attitude that students show after just one day of rehearsals! 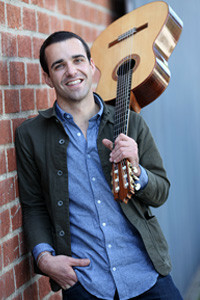 Santa Monica Music camp offers guitar as a primary instrument and as an elective in all sessions. 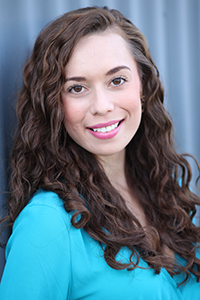 Guitar Program students receive individual coaching, and play solo, in duets, and in chamber ensembles. 8:45am-9:15am: Back to cabins to prepare for rehearsals. 8pm-8:30/9pm: Quiet time before lights out. If written cancellation is received by May 1st (email is acceptable), all tuition minus $250.00/week cancellation fee will be refunded. No refunds will be offered after May 1. If a dismissal or withdrawal occurs after May 1, for any reason, we will hold the balance of tuition ( $250.00/week cancellation fee ) as a credit for future WCEP services expiring on the last day of camp the following summer.